Directing with the Michael Chekhov Technique explores the collaborative process between a play's director and the entire production team, making the journey of a production process cohesive using the Michael Chekhov Technique. No other technique provides the tools for both actor and director to communicate as clearly as does Michael Chekhov. Directing with the Michael Chekhov Technique is the first book to apply the insights of this celebrated technique to the realities of directing a theatrical production. The book chronicles the journey of a play, from conception through production, through the eyes of the director. Drawn from the author's rehearsal journals, logs and notes from each performance, the reader is shown how to arrive at a concept, create a concept statement and manage the realization of the play, utilizing specific techniques from Michael Chekhov to solve problems of acting and design. 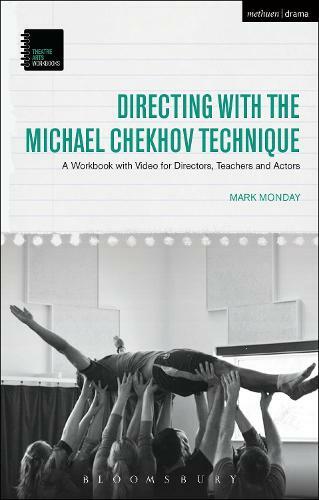 As with all books in the Theatre Arts Workbook series, Directing with the Michael Chekhov Technique will include online video exercises, "Teaching Tip" boxes which streamline the book for teachers, and a useful Further Reading section. Directing with the Michael Chekhov Technique is the perfect guide to the production process for any director.